The opening date of the First Cracker Barrel in California was announced this week. The locations map on the Cracker Barrel website was updated to show Victorville as opening soon. The date for the opening is set for February 5. 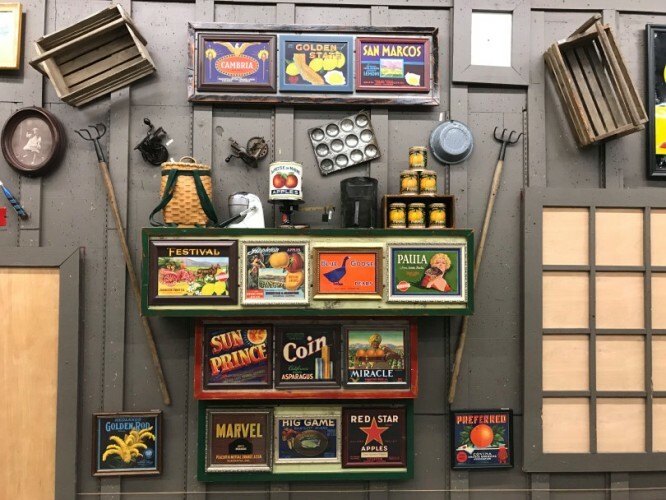 Cracker Barrel also released a number of images showing some of the antiques that they used to decorate the Victorville location. Here you can see a section featuring California agriculture. 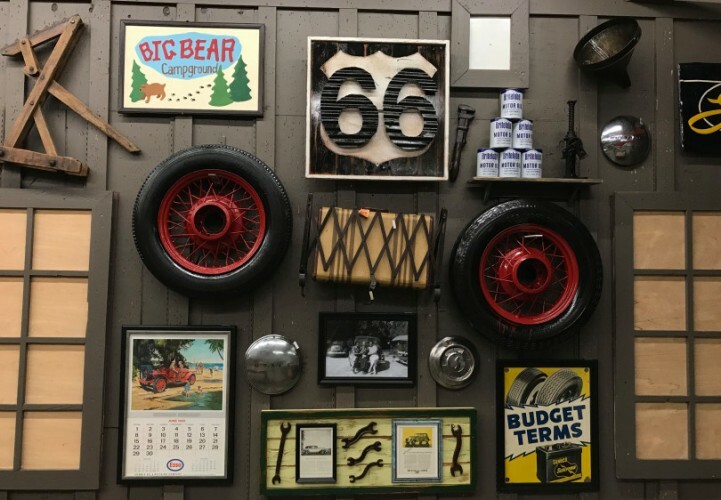 Here is another display showing some of the car culture of California and Route 66. Menus will soon be on the tables and Californians can finally enjoy a Cracker Barrel meal without having to travel outside the state. However, Victorville is still far from me and I do not plan on driving down for a meal. Plus, I just recently got my Cracker Barrel Fix while back in Missouri for Thanksgiving. The picture above is from my visit there. It will be a different story with the second Cracker Barrel in California. It will be just over an hour drive away and I will definitely be tempted to take a little trip. The picture above is from Cracker Barrel’s job search field and the Sacramento location is also searching for selected employees. Where would you like to see a Cracker Barrel open in California? 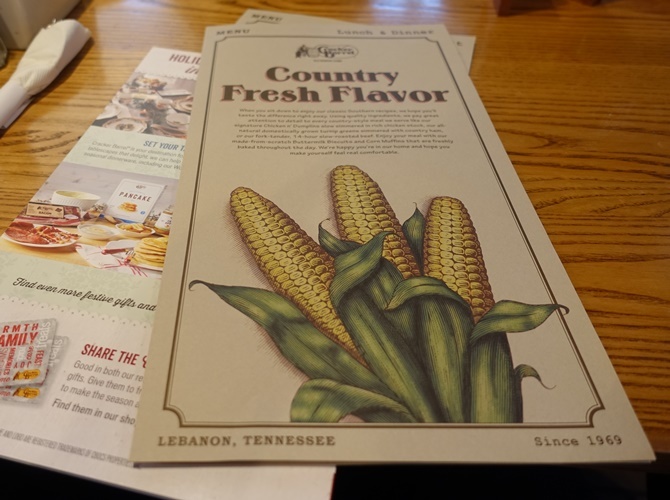 This entry was posted in California, Culture, Food, Travel and tagged Comfort Food, Cracker Barrel, New Locations, restaurants. Bookmark the permalink. I have always enjoyed browsing their store, and they also have great food!